You are asked to write a file name here, and it suggests main.cpp. So you try ch main.cpp but it does not work. After a while, you figure out that you should not put the file name directly after ch, but on the next line and you get the listening of main.cpp. Exploit time! 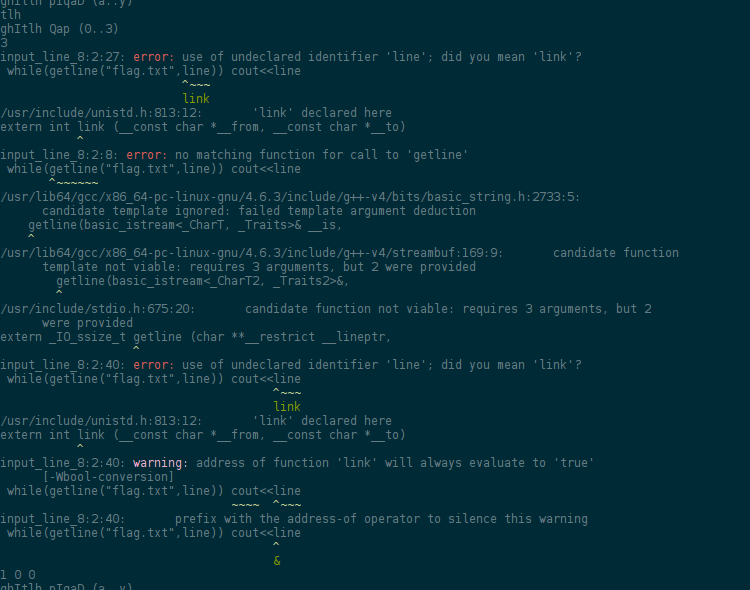 Remember that you want to get the content of flag.txt back. At that point, since I don’t know C++, I tried different things. With some very beautiful error messages from times to timesâ¦ which confirm that some JIT compilation is done. 00:16:22 +Rogdham     Your submission of flag *** has earned 440 points. 00:16:43 gardiner90   we are now 8th out of 180!! 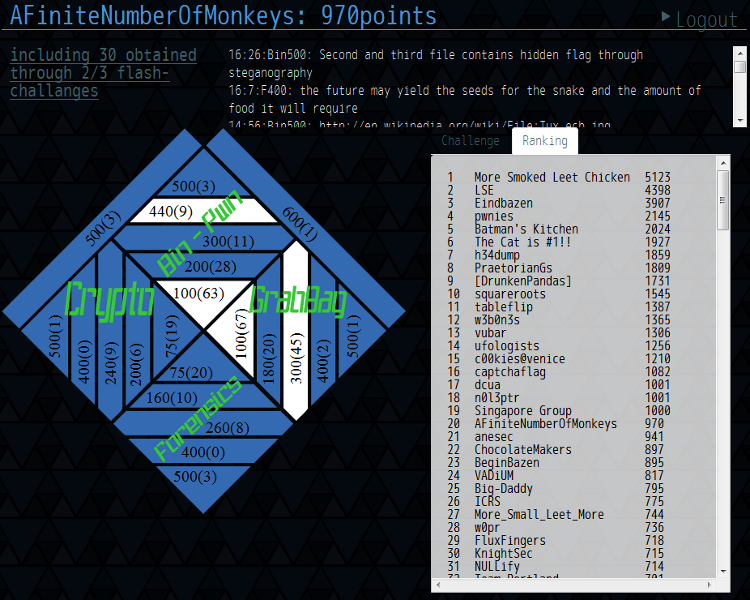 Many thanks to the AFiniteNumberOfMonkeys team members!